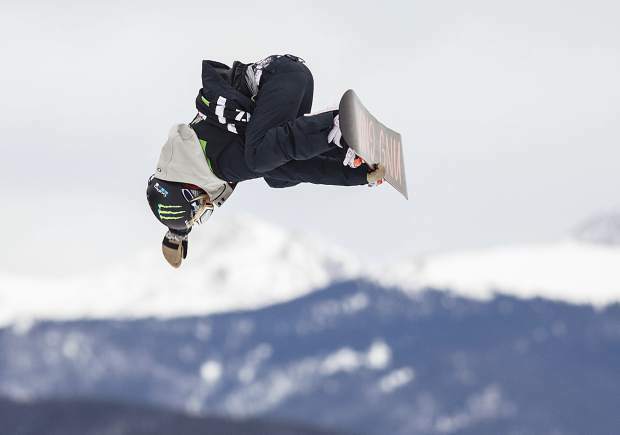 South Lake Tahoe's Jamie Anderson competes Saturday, Dec. 16, in the slopestyle finals during the Dew Tour Olympic qualifying event at Breckenridge Ski Resort in Colorado. Anderson took second place with a high score of 93.33. 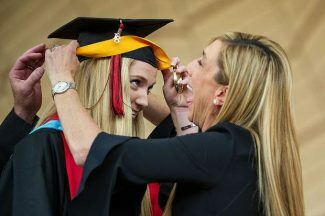 Jamie Anderson made it. Maddie Bowman is on the cusp. And Hannah Teter has some work to do. 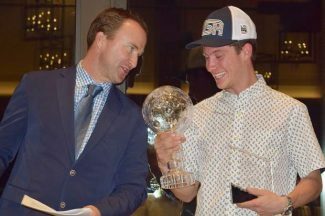 The South Lake Tahoe trio of past Olympians and 2018 PyeongChang hopefuls were at Breckenridge Ski Resort in Colorado this past weekend trying to qualify for a spot on Team USA for the winter games in February. Anderson, who, along with her competitors, battled flat light and difficulty seeing the definition of the snow, finished in second place Saturday, Dec. 16, in the Dew Tour Women’s Snowboard Slopestyle and will defend her title in South Korea after taking gold in the 2014 Sochi games. Anderson scored a 93.33 on her first run that closed with a perfect frontside 720 grabbing mute. She led after the first round, but Canadian Spencer O’Brien won the event with a second run score of 95.00. Anderson will also try to medal in big air as it makes its Olympic debut. All slopestyle riders who qualify for the Olympics will compete in the new event. Anderson, 27, led the FIS World Cup standings in slopestyle, big air and overall in 2015-16 and was first in slopestyle, fifth in big air and second overall the following year. Anderson also is the most decorated slopestyle athlete in Winter X Games history with a total of 12 medals, including five golds. Bowman, the defending gold medalist in halfpipe skiing, led briefly after a strong second run followed a fall early in her first attempt. But she was pushed to third place with a high score of 90.33. 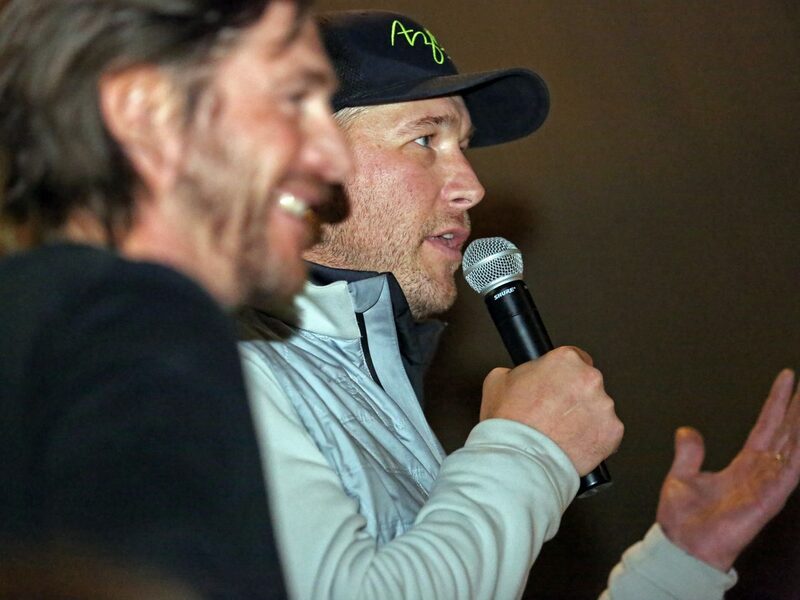 Bowman finished fifth the week before at Copper Mountain in Colorado. Teter, a three-time Olympian and 2006 Torino Games gold medalist, is in danger of falling out of the running and needs a strong result at the next qualifier. Teter is tied for fifth place with Elena Hight with 850 points. Chloe Kim won her second straight qualifier to earn an Olympic spot. She has 2,000 points and is followed by veteran Kelly Clark (1,400), Maddie Mastro (1,300) and Arielle Gold (1,100). The final two Olympic qualifying events will be held Jan. 10-12 at the Grand Prix in Snowmass, Colorado, and Jan. 17-19 at the Mammoth Grand Prix at Mammoth Lakes, California. 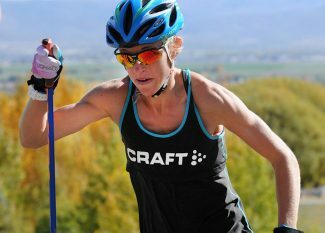 Antonio Olivero, sports and outdoors editor for the Summit Daily News, a Tribune sister publication based in Summit County, Colorado, contributed to this report.